dressed up like a lady: Flares and a cloche! 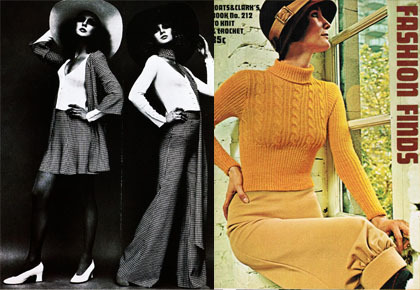 I've said this before and I'll happily say it again: the way the fashion of the 1970's interpreted the fashions of the 1920's and 1930's remains my favorite style prism of all time. It crystallized things so perfectly, it's hard to imagine there was ever a time when bell bottoms and a cloche weren't a natural pair. I'm totally going to steal the cloche with the flares pairing. great demin look. the floral blouse is so lovely.